Cows have frequently gotten a bad wrap when it comes to the environment because they are well-known as methane producers. (Methane is 100 times more potent as a greenhouse gas than carbon dioxide. 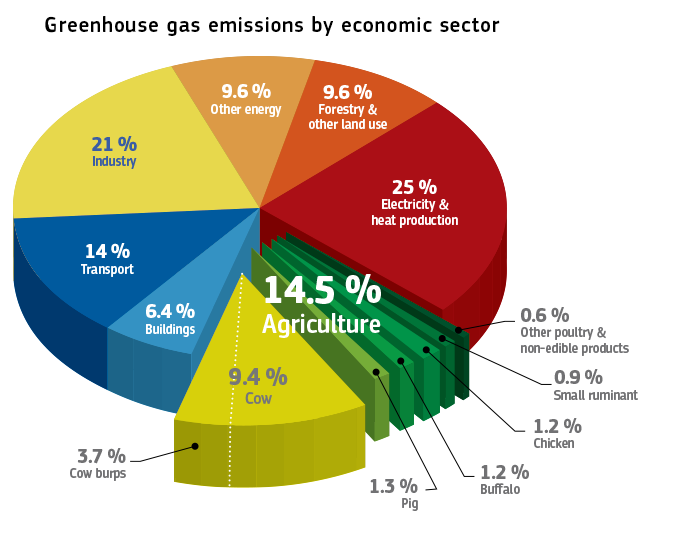 Greenhouse gases are responsible for trapping heat in the atmosphere, causing ultimate rises in temperature, which contributes to climate change). we could lower our risk of growing climate change!! There seems to a way we in fact can do that. Dried seaweed seems to be the answer...to this cow problem and a couple others! Cheers once again to science and innovation!